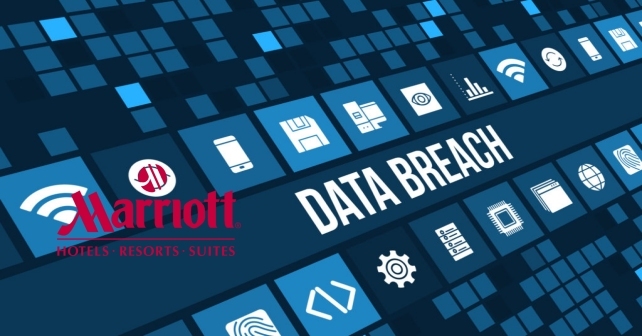 The personally identifiable information (PII) of as many as 500 million guests at Starwood hotels has been compromised and Marriott said that it’s discovered that unauthorized access within its Starwood network has been taking place since 2014. While the breach affected “approximately 500 million guests” who made a reservation at a Starwood hotel, some of those records could belong to people who had multiple stays. When the two companies announced their merger in November 2015, Marriott had 54 million members of its loyalty program and Starwood had 21 million. Many travelers were members in both programs. Starwood operates hotels under the names W Hotels, St. Regis, Sheraton Hotels & Resorts, Westin Hotels & Resorts, Element Hotels, Aloft Hotels, The Luxury Collection, Tribute Portfolio, Le Méridien Hotels & Resorts, Four Points by Sheraton and Design Hotels. Starwood branded timeshare properties are also included. On September 8, 2018, Marriott received an alert from an internal security tool regarding an attempt to access the Starwood guest reservation database. Marriott quickly engaged leading security experts to help determine what occurred. Marriott learned during the investigation that there had been unauthorized access to the Starwood network since 2014. Marriott recently discovered that an unauthorized party had copied and encrypted information, and took steps towards removing it. On November 19, 2018, Marriott was able to decrypt the information and determined that it was from the Starwood guest reservation database. The information copied from the Starwood guest reservation database over time includes information about guests who made a reservation at a Starwood property, including names, mailing addresses, phone numbers, email addresses, passport numbers, Starwood Preferred Guest (“SPG”) account information, dates of birth, gender, arrival and departure information, reservation dates, and communication preferences. The combination of information varies by guest. For some individuals, the information copied also included payment card numbers and payment card expiration dates, but the payment card numbers were encrypted using Advanced Encryption Standard encryption (AES-128). There are two components needed to decrypt the payment card numbers, and at this point Marriott has not been able to rule out the possibility that both were taken. What Steps Did You Take In Response? After receiving the internal security alert, we immediately engaged leading security experts to help us determine what occurred. We quickly installed additional security tools to help us gather facts and reported the incident to law enforcement. Forensic investigative work is painstaking, and our internal and external security teams have been working nonstop to investigate the incident, implement additional security measures, and address what was found. We recently discovered that an unauthorized party had copied and encrypted information, and took steps towards removing it. On November 19, 2018, Marriott was able to decrypt the information and determined that the contents were from the Starwood guest reservation database. We then immediately began taking steps to notify our guests and regulatory authorities. How Many Guests Were Involved? Marriott has not finished identifying duplicate information in the database, but believes it contains information on up to approximately 500 million guests who made a reservation at a Starwood property. For approximately 327 million of these guests, the information includes some combination of name, mailing address, phone number, email address, passport number, Starwood Preferred Guest (“SPG”) account information, date of birth, gender, arrival and departure information, reservation date, and communication preferences. For some, the information also includes payment card numbers and payment card expiration dates, but the payment card numbers were encrypted using Advanced Encryption Standard encryption (AES-128). There are two components needed to decrypt the payment card numbers, and at this point Marriott has not been able to rule out the possibility that both were taken. For the remaining guests, the information was limited to name and sometimes other data such as mailing address, email address, or other limited information. Why Are Reservations Only For Your Starwood Properties Involved? The guest reservation database that is involved was only used for Starwood reservations. Marriott uses a separate reservation system that is on a different network. What Are You Doing About This Going Forward?